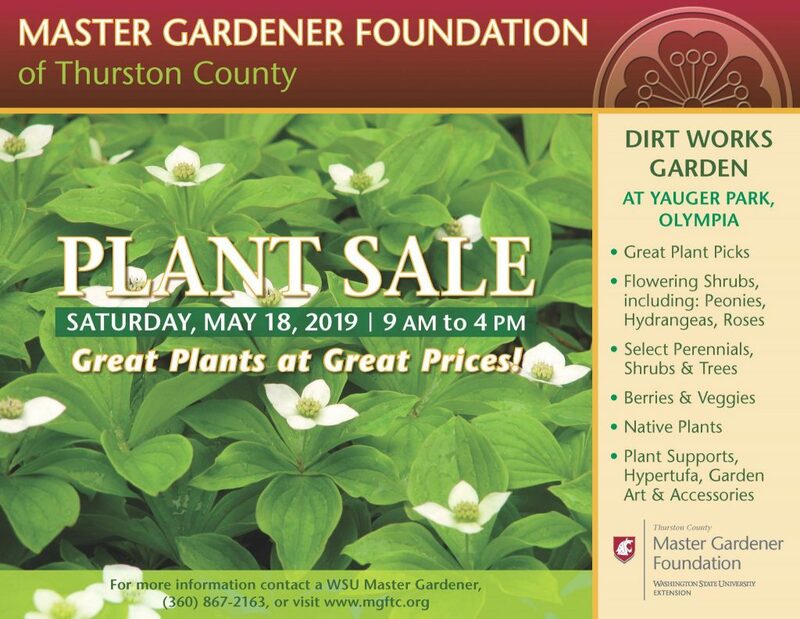 The 2019 Plant Sale is on May 18, 2019 (3rd Saturday in May). A complete description of this years’ 2019 event is on the 2019 poster below. The sale features a wide variety of plants including Great Plant Picks, Flowering Shrubs including: Peonies, Hydrangeas, Roses, Select Perennials, Shrubs & Trees, Berries & Veggies, and Native Plants. Along with the sale, Dirt Works garden is open to the public the whole day. Education of the community about plants, water-wise gardening, other related organizations and composting are major focuses of the event. Foundation members will also be offering a variety of garden related handcrafted items for sale. These include Plant Stakes, Planters, Garden Art & Accessories. All proceeds help support Master Gardener and Master Recycler Composter programs. Contact Plant Sale Coordinator at plantsale@mgftc.org for more information about this event. Many volunteers from the MG program work tirelessly throughout the year potting, labeling, feeding, watering and weeding the plants that we have for sale. Rain or shine, they show up on Wednesdays to help get the plants ready for YOU!